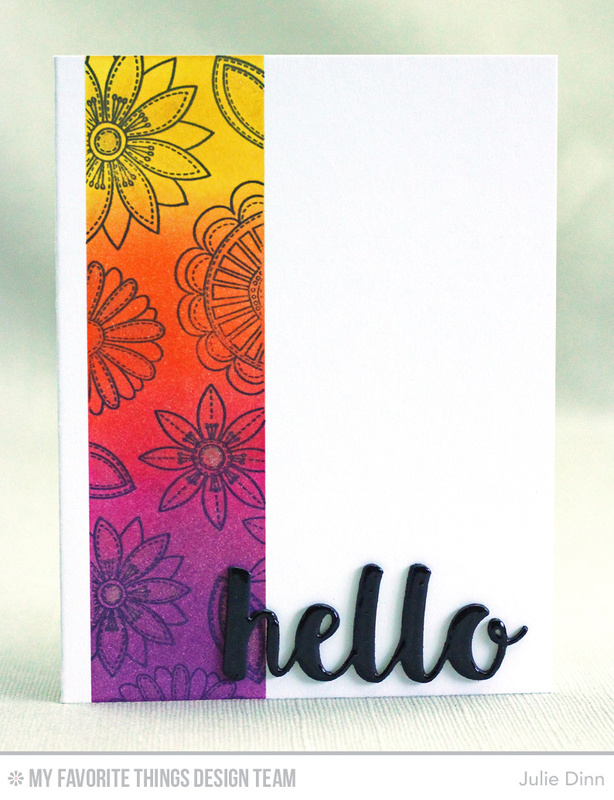 I recently had some fun making a one layer card with the Funky Flowers stamp set. I masked off a strip of card stock on the Smooth White card base. I then randomly stamped the flowers and leaves within the masked off area and then I sponged it with a couple of colors of ink. I finished off the flowers with a touch of shimmer in the centres of the flowers. I die-cut Hello in Black Licorice card stock and covered it with a thick layer of Glossy Accents. The new release countdown will begin tomorrow, and trust me when I tell you that you won't want to miss a minute of the festivities!